When 18-year-old KCC undergraduate Jason Tom had to complete his final project for a career-related elective course during the Spring 2002 semester, he applied his artistic skills into creating a comic book that would illustrate where he would be in 10 years. Whether it was the dream of becoming a mathematics professor to pursuing beatboxing, playing professional soccer or even doing professional judo, the now 34-year-old is content with what he’s become and shares his passion for beatboxing with members of the community and beyond. Growing up, Tom was illiterate in school having spoken Chinese at home, resulting in failure in the first grade while attending Liholiho Elementary School. Since then, and until he graduated from President William McKinley High School in 2001, Tom was academically challenged and found it difficult to keep his grades. However, this did not let this stop him from attending college. “After I got my high school diploma, that in itself was a feat … [so] college … that was the goal because I didn’t know what I wanted to do with my life,” Tom said. Tom enrolled at KCC for the Fall 2001 semester but faced probation due to a low GPA. When he continued his academic studies into the following semester, Spring 2002, Tom then faced academic suspension. Distraught by his continued challenge with school, Tom chose to take a two-year break and moved to California to do judo. During his hiatus, Tom earned bronze, silver, and gold medals, which he tied into his academics. 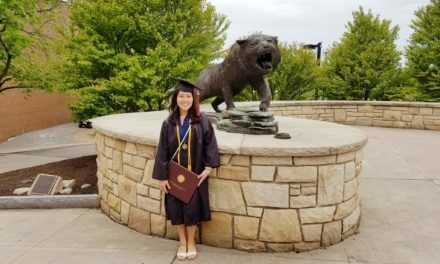 By changing his mindset, Tom believed that if he applied how he achieved his medals in judo by striving for the best, he would be able to achieve high grades in college. Consequently, Tom returned to KCC for the Fall 2004 semester, in which he achieved his first 4.0 GPA. Ecstatic, he was determined to pursue his Liberal Arts degree and took advantage of the resources and opportunities that KCC had to offer. 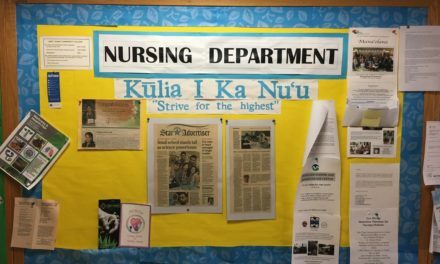 Although he was not positive that he would pursue a career in mathematics, Tom found himself taking up the opportunity to become a Supplemental Instruction (SI) Leader for the Holomua Center, now known as the First-Year Experience (FYE) Office or Kahikoluamea Center in ʻIliahi. Working alongside mathematics professor Dennis Perusse, Tom held math tutoring sessions for students while under the supervision of LaVaché Scanlan. Tom, who recognized his talent in beatboxing at the age of 4, was seeking classes at KCC that would benefit him in improving his beginner beatboxing skills. He stumbled upon Voice Class I and II, which he took under the instruction of Professor Lina Doo during the Spring and Fall of 2005. Through this class, he was introduced to the documentary Genghis Blues, which informed him of Mongolian throat singing. Intrigued by the dynamics in which throat singing carried, Tom implemented it into his own style of music resulting in his ability to mimic sounds of a didgeridoo. 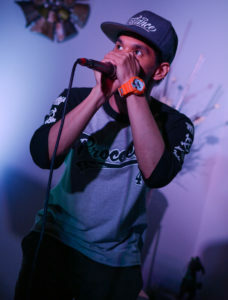 As he improved in school with beatboxing in mind, he took up the chance to connect with his Chinese roots by applying for the Freeman Foundation Study Abroad Scholarship program in Fall 2005. Tom, who felt that he was going through an identity crisis after forgetting how to write his name in Chinese, believed that traveling to China would help him to revisit what he learned at Sui Wah School in Chinatown when he was younger. 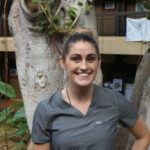 After spending five months in a dorm at the Hawaiʻi Tokai International College and studying for three months at the Beijing Foreign Studies University in Beijing, China, Tom received a certificate in Intensive Chinese in 2006. By the time he graduated from KCC in Spring 2008, he was honored to have made it onto the Dean’s List and inducted into Phi Theta Kappa. 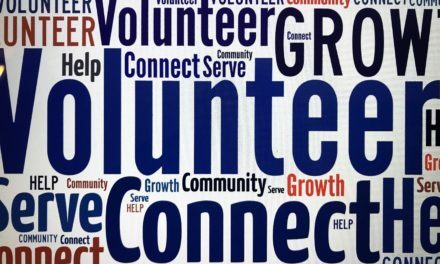 Amazed at what he was able to accomplish, Tom wanted to take what he learned and experienced and share it with the community. 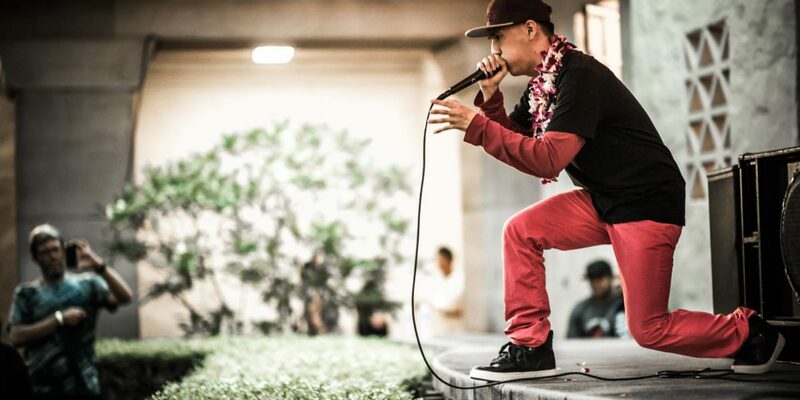 At 28 years-old with just seven years of experience in professional beatboxing since 2004, Tom established the Hawaiʻi Human Beatbox Academy where he teaches youth and young adults how to beatbox and more. 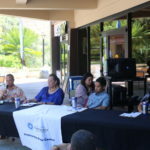 Beyond his workshops, Tom also gives motivational speeches at various schools and conferences around the island, something he first began doing in 2009. Through his speeches, Tom focuses heavily on having faith in life, which is what he opened his mind to after being prayed over and becoming a born-again Christian. Reflecting back, Tom said that he is grateful to the faculty and staff of KCC who helped shape him into the person that he is in his career today. 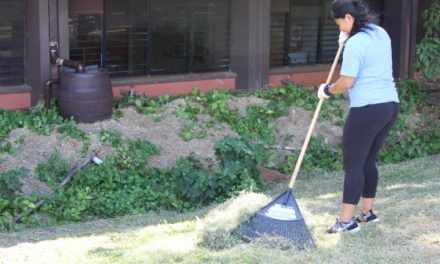 From seeing his counselor, Kristie Souza Malterre, almost everyday for academic advising to getting involved on campus by voicing his opinion on having an amphitheater outside of ʻIliahi, Tom said that he considered KCC his “stomping grounds” where he basically “lived on campus” for its accessibility. Improving from a below average student to a 3.5 GPA and above, Tom encourages the youth and young adults that he interacts with to dream big and set goals on a daily basis. Although he did not have a beatboxing role model to look up to, Tom believed that it was the people around him who helped him to achieve and pursue his beatboxing career. this guy came full circle ! What an amazing story. I totally loved reading it. Thank you for your kind words and for reading! Thank you Mary Ann! You are amazing as well. Thank you for inspiring me Mary Ann! Your words of edification as well. He is a guy who is wise and competent! He’s totally rock!!! Maka, you’re the best! Thank you for your support overseas! You’re sugoi. Thank you Kimberly! You’re incredible and amazing yourself. 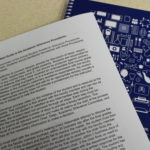 This is such an awesome article! Thank you for writing this story about Jason. It’s so inspirational and it gives us encouragement to not give up. You inspire me Jason! Yes Gale, I agree that Lexus did a wonderful write up here. And you’re very welcome that this story has been shared. Great opportunity to share my story through this platform. 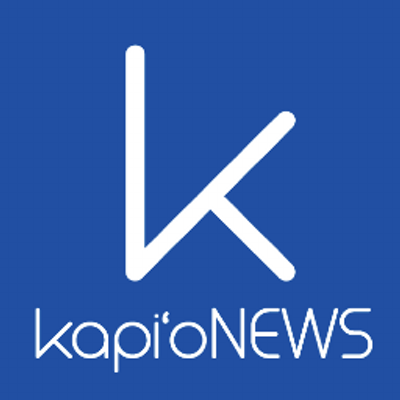 Thank you to the Kapio News team and Lexus that reached out! Thank you for your kind words and for reading! I appreciate the feedback of how this article has impacted others! Mahalo for the continual support and motivation! Josh, it is great getting to know you throughout this year and spending time with you beatboxing and doing math. I’ve seen you grow and gain in confidence. It’s great to hear you laugh and see you cheer up even when you’re feeling down and out. Never give up in life no matter what brother. Jason, when we met in Australia it opened my eyes to the potential to go after my dreams. I’m hungrier than ever to succeed and a huge part of that is because of you. Thank you for being YOU brother!! Thank you Ben! It was an honor to have met you in Australia. I hope we will get to do more in the near. Thank you for staying connected with me brother. You’re the best and don’t give up in life no matter what. Keep on truckin’. Our dreams do come to fruition. This was truly a very inspirational read!! Stay true to your dream Jason!! Christine, you’re inspirational. Dreams come to fruition when we don’t give up and persevere by pushing through with a purpose and passion. Don’t give up in life no matter what. You’re the best. Thank you for this read, Jason. Reading about your journey, struggles, and drive reminded me of what I must do achieve a higher sense of clarity in my life. Sending only best wishes to you as you continue on your path. Right on Eric. Thank you for the support. I am encouraged that my journey has inspired you in one shape or form. Keep doing you and keep on truckin’ no matter what. Don’t give up in life no matter what. Manny Batinga is in his second semester of college. 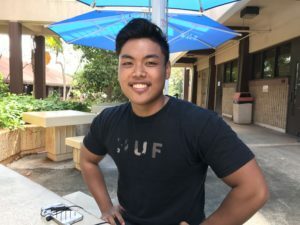 At the age of 19, Manny is taking classes at two UH community colleges. While he is majoring in Fire at HCC, he is taking his Japanese language requirement at KCC with Kobuke sensei. Manny wants to major in Fire because he "wants to become a firefighter and help other people." Manny graduated from President William McKinley High School in 2016 where he earned a scholarship from the McKinley Foundation that aided him in attending college. In his free time, Manny enjoys weightlifting and working on his car, a 1986 Toyota Corolla.